FEATURE — With so much open land in Washington County being swallowed up by developers, Staheli Family Farm and Western Legacy Farm and Ranch are small bastions of what America was built on, the agrarian dream Thomas Jefferson and other Founding Fathers fancied. 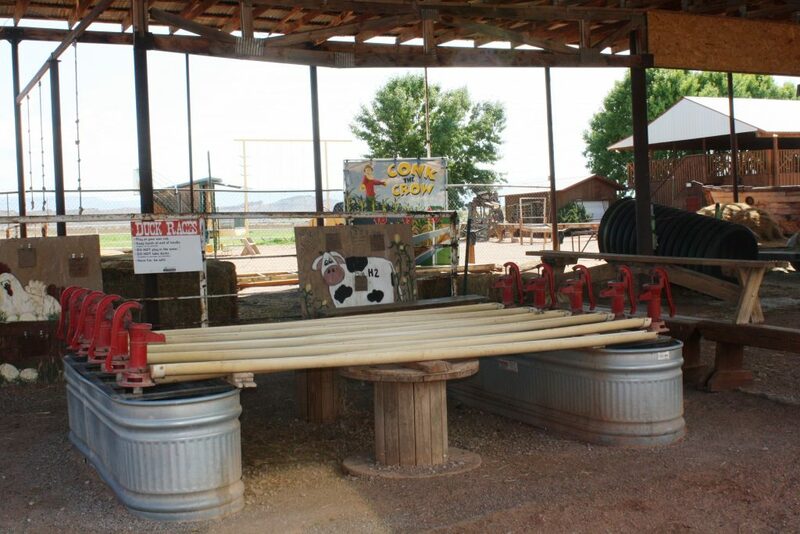 The main agricultural products of both farms are beef cattle and alfalfa, but the commonalities don’t stop there as they both engage in their own brand of agritourism with their main events in the fall associated with Halloween. Interestingly, they don’t see each other as competitors but allies in sending the message that agriculture is still important in today’s society. In fact, Sherrie Staheli, who runs the agritourism wing of Staheli Family Farm, and Kathie Iverson, who does the same for Western Legacy, serve on the Women’s Farm Bureau Board together (Staheli is chairwoman and Iverson is vice chairwoman) and have been friends for years. 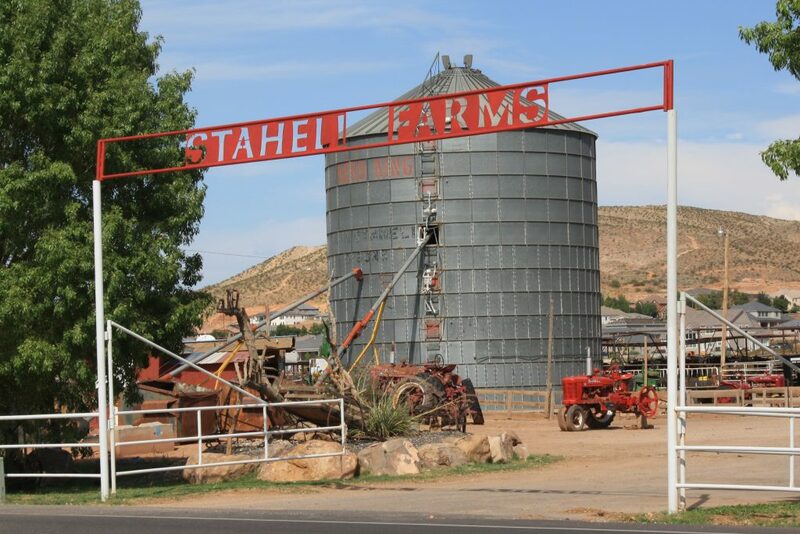 Staheli Family Farm was the first to branch into agritourism, and when Western Legacy started its foray, the folks at Staheli were its main advisors. Each farm has its own story that brought it to where it is today. The tale of the land’s ownership has come full circle for Kelby and Kathie Iverson, owners of Western Legacy. Kelby Iverson’s maternal grandfather, Winfred Spendlove, once owned the land but sold it to Jack Lemmon, who then sold it to Earl Plunkett. In the late 1970s, Plunkett built the house in which the Iverson family now lives. 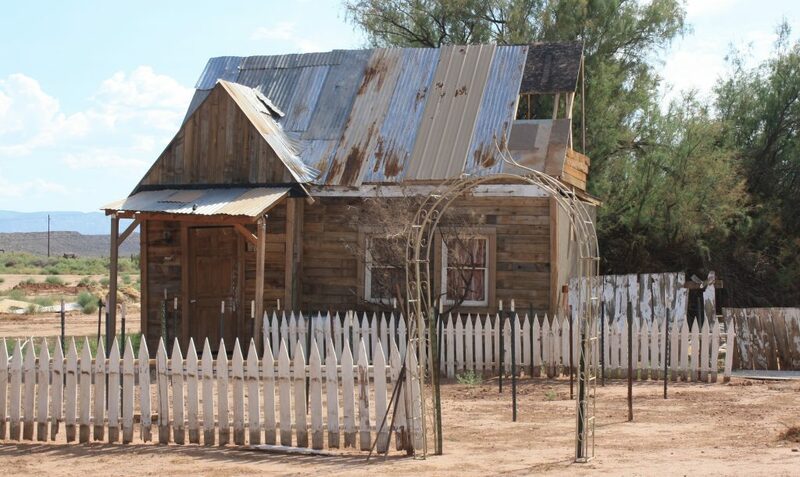 He also built a barn in which he housed exotic birds and planted some grapevines on the property. 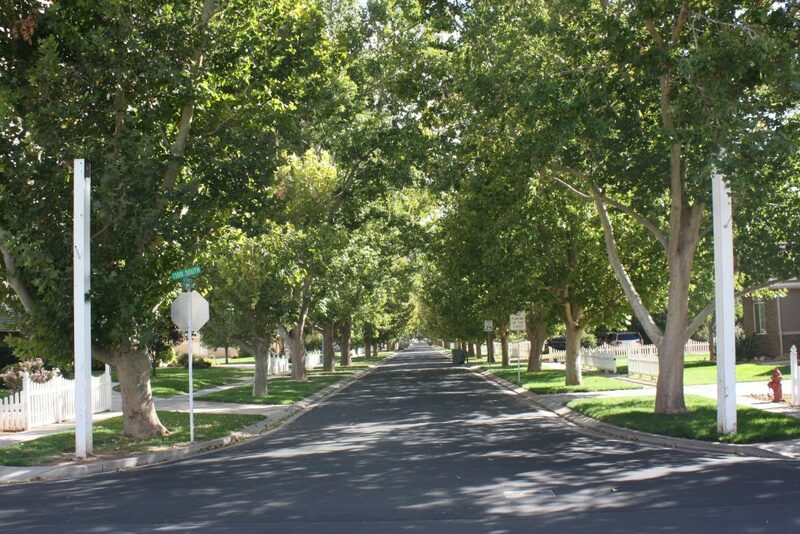 Additionally, he planted the sycamore trees on either side of what was back then a dirt road that led to the house. On both sides of the sycamores, Plunkett grew hay and housed a herd of cattle, which John Wadsworth, a prominent Hurricane farmer and Kelby Iverson’s uncle, ran for Plunkett. Plunkett owned the property for about 10 years and then sold it to Will Roberts, who subdivided the northern half of the property and created Roberts Ranch, the formal name of the neighborhood along the street now known as Sycamore Lane (320 West), a picture-perfect, luxury-home neighborhood. 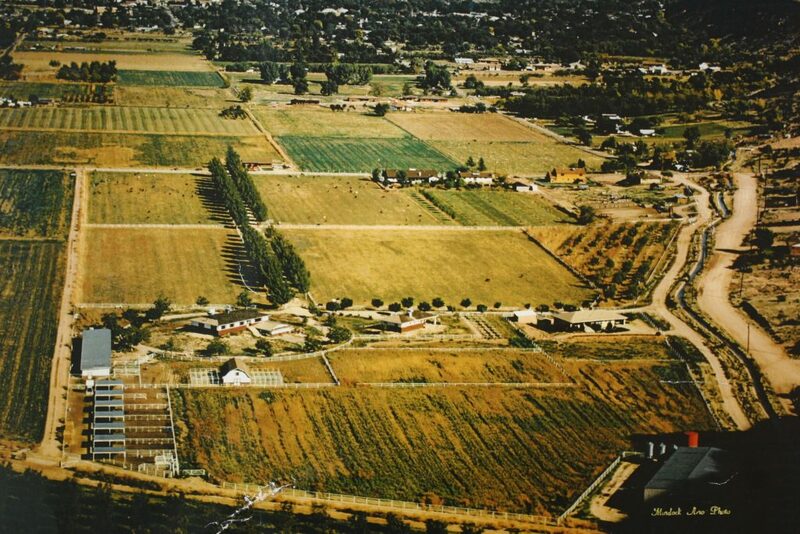 The southern half, where Western Legacy now is, remained agricultural. In 2000, Roberts put the southern half of the property up for sale, the same year the Iversons were married. Kathie Iverson said when they saw the for-sale sign on the property that year, they wished they could have bought it because it used to be in the family, but at that time there was no way they could have afforded it. Allen Arvig purchased the property and renovated the house but didn’t do much to the land surrounding it. In 2010, Arvig put the property up for sale. At the time, Kathie Iverson said, she and her family had just moved into a new house that she thoroughly enjoyed and she and Kelby had worked hard to also acquire a rental home. It was then that Arvig personally knocked on the Iversons’ door and told them he felt strongly he needed to offer to sell the property to them. When this opportunity came, the Iversons could afford it and, even though it wasn’t in their plan at the time, felt strongly they should purchase the property from Arvig. Thus, they made a deal with him that included the home they lived in and their rental home. It was mid-October 2010 when the Iversons moved in and they had no idea they’d eventually start Sleepy Hollow, but something that happened that Halloween was transformative. 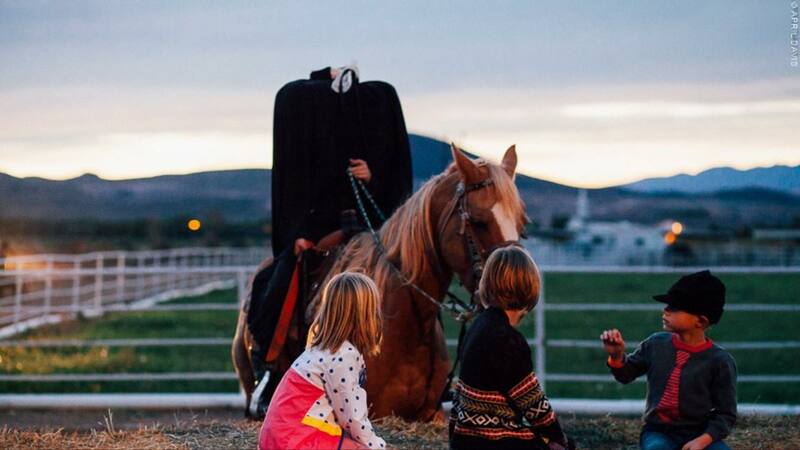 The Iversons’ oldest son, Bronsen, then 6 years old, informed his mother that year that he wanted to be the Headless Horseman for Halloween; so Kathie Iverson and her mother, who both love the holiday, put together a costume. When Bronsen made his debut, it caused quite a sensation. Living next to Roberts Ranch, which goes all out for Halloween and is popular for trick-or-treating, the Iversons decided to let their son saddle up and ride the street where trick-or-treaters roamed as an addition to the street’s festivities. To say the Headless Horseman was a hit is an understatement. “People were going nuts over the costume,” Kathie Iverson said. 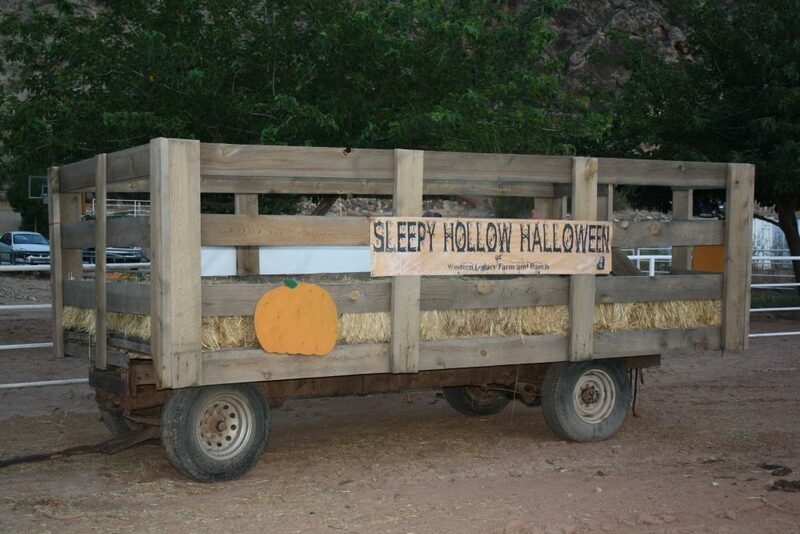 Even with the success of the costume, the seed of Sleepy Hollow was still not planted at the time. When they moved in, the Iversons didn’t know exactly what to do with all the land they had acquired. 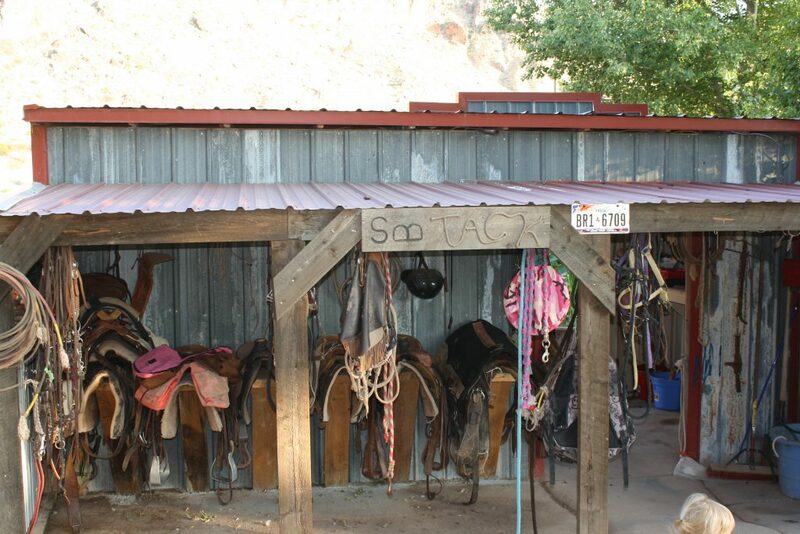 They soon started boarding horses and, at the beginning of the next summer, they held their first Farm Camp on the advice of Sherrie Staheli. As part of the Farm Camp, they held a parents’ day and the parents said how much their children enjoyed the camp and asked if there was anything else they could bring their family back to the farm to enjoy. The Iversons’ lack of an answer to that question became the impetus to establish a Halloween activity and the theme for it became easy after the success of the Headless Horseman costume. That first year, 2011, they started small with a little corn maze and pumpkin patch, a hay tower and playground and a showing of the classic Disney cartoon short, “The Legend of Sleepy Hollow” – all of which have been staples ever since. Another staple is, of course, the Headless Horsemen roaming the farm’s grounds during the event. The costume has received an upgrade over the years and Bronsen Iverson, now 13, has retired as the horseman, allowing his brothers and neighbors who have clamored for the job to serve in his stead. Sleepy Hollow’s attendance has nearly doubled every year, Kelby Iverson said. The first year, they estimated they only had approximately 1,000 attendees and last year they estimated approximately 5,000. Every year they’ve gotten bigger, expanding the corn maze, the pumpkin patch and the food offerings as well as activities, including a zip line, which debuted three years ago. As part of a contest posted on social media, the Iversons asked potential Sleepy Hollow visitors to describe their legacy. There is a reason they chose the word “legacy” as part of their farm’s name. 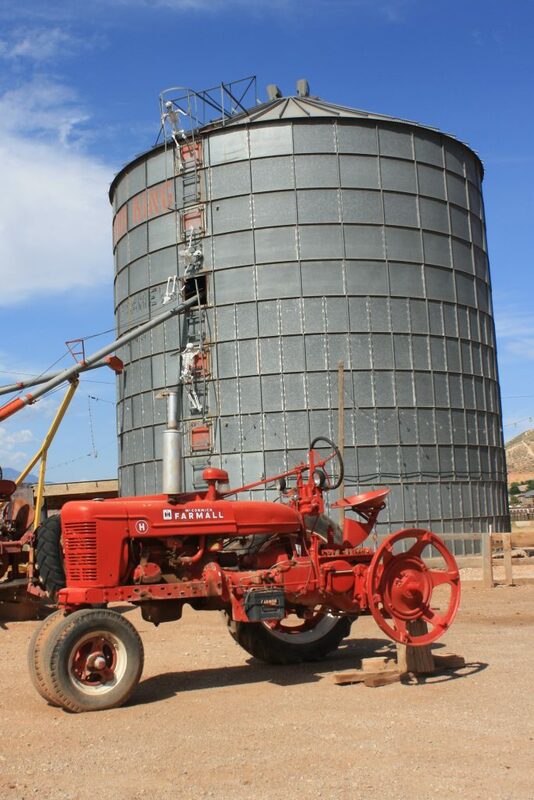 “It’s our duty to pass on the heritage of the valley,” Kathie Iverson said – especially the agricultural heritage. 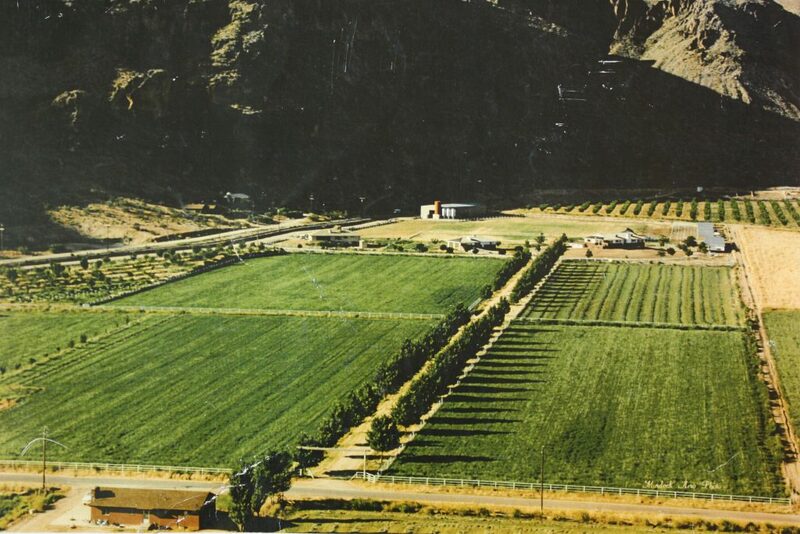 Staheli Family Farm was established in 1898 by Frank Staheli Sr., a vegetable farmer and immigrant from Switzerland. He was integral in building some of the first rock irrigation ditches in the valley still in use today and also served as one of Washington City’s first mayors. The farm’s first location was where the Red Barn and Brigham’s Playhouse now stand and its first major crop was sugar beets. In 1960, it moved to its current location in the Washington Fields area. Its sugar-beet operation ceased when the sugar beet plant, which is now the St. George Opera House, closed. 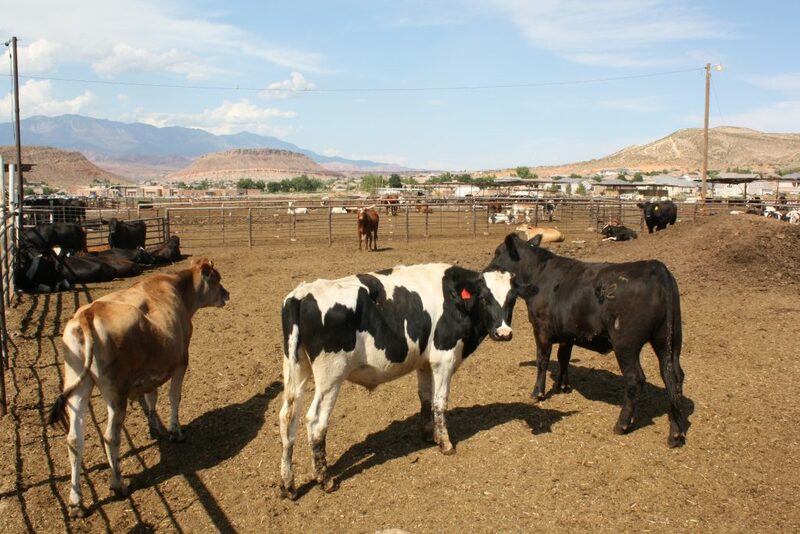 Today, there are 80 acres immediately surrounding the farm, which is home to about 500 head of cattle. 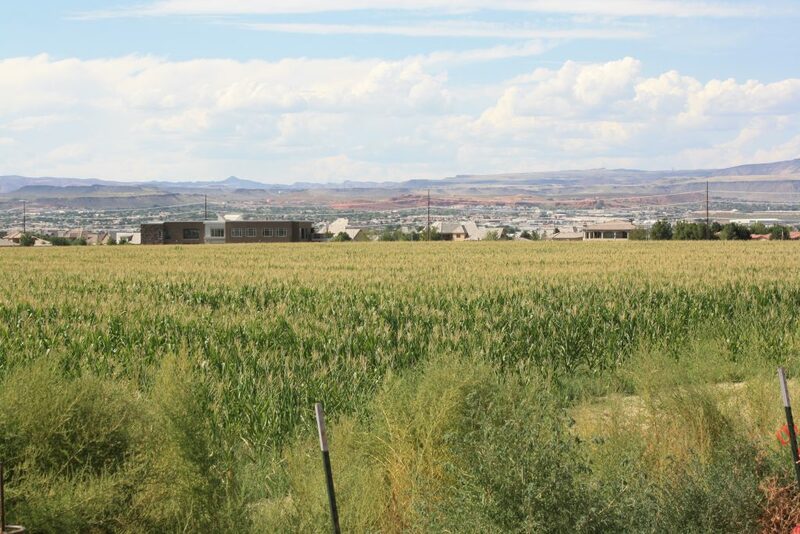 The family extended its operation and purchased a farm in Loma, Colorado, near Grand Junction. That location boasts 500 acres and is home to approximately 2,000 cattle, the farm is operated by Sherrie Staheli’s brother. 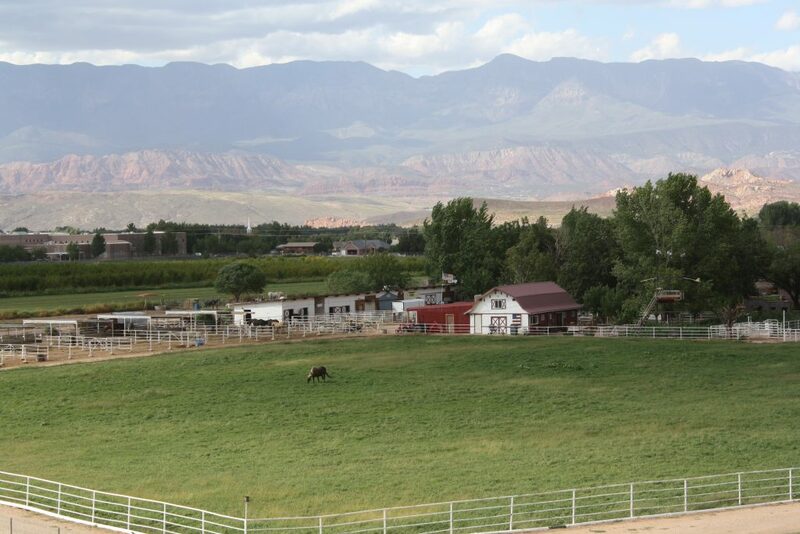 She loves visiting the farm in Colorado, she said, because it’s beautiful, more rural and away from the noise. 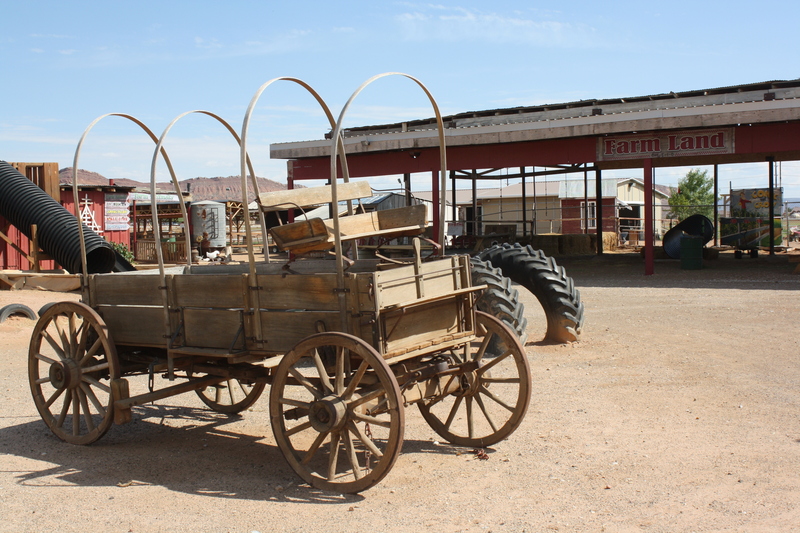 When it comes down to it, every person can trace their life back to a farm so visiting the Staheli Family Farm brings back that nostalgia, Sherrie Staheli said. However, Sherrie Staheli said the farm is being encroached upon today by development. Soon there will be five schools within 2 miles of the farm and 500 homes are projected to be built to the east of it. “It’s hard to see it closing in,” Sherrie Staheli said of all development surrounding the farm. Some newer residents complain about the smell and the noise, she said, but there are others who don’t ever want the farm to go away. There was a time when one would only see 10 cars a day going down Washington Fields Road by the farm, but today it’s about 10 cars a minute. 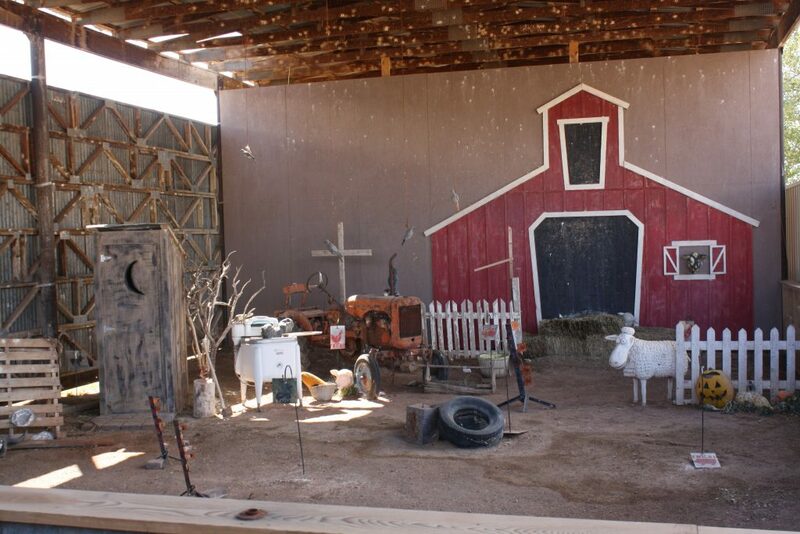 The farm started its Halloween event in 2001 with the corn maze as the main attraction. 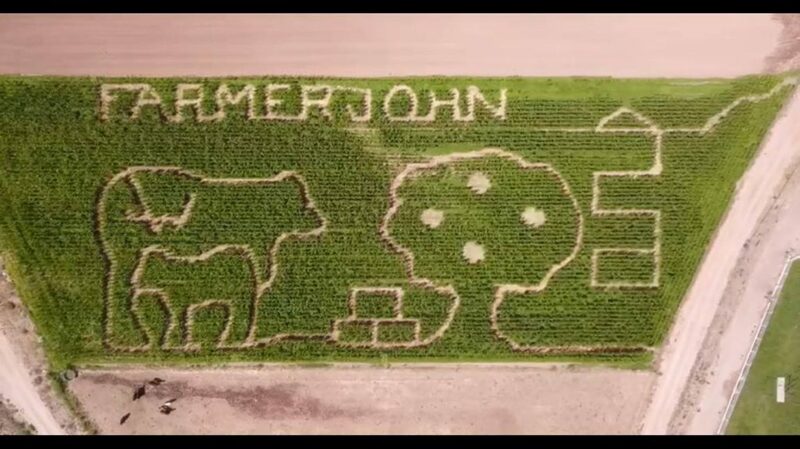 In 2004, a reporter told her that the corn maze was old news, Sherrie Staheli said, which helped prompt her and the farm to ramp things up a little bit. 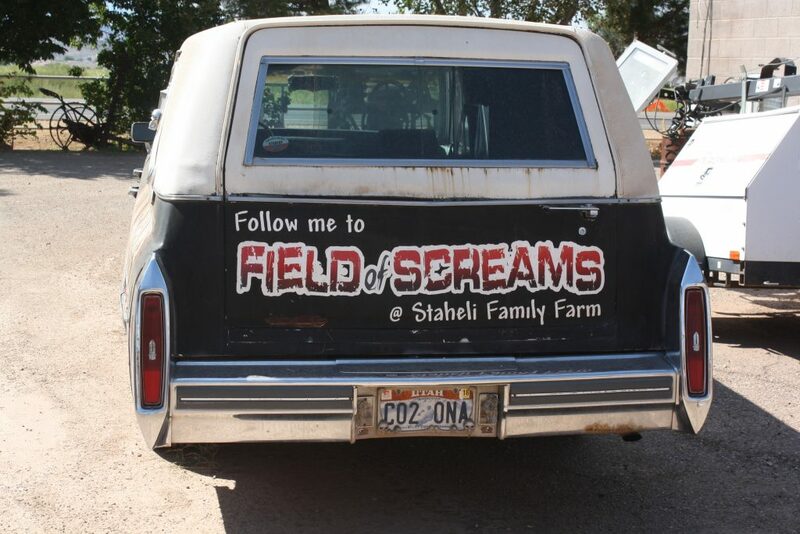 Her brother Burke Staheli, principal of Riverside Elementary, was the driving force behind Field of Screams, which debuted in 2006. The same year Field of Screams started, they built the large pavilion that is now the epicenter of activity. The Staheli family enjoys holding dances in that pavilion. “It still feels a little country,” Sherrie Staheli said. Much of Staheli Family Farm’s patronage comes by word of mouth. About 40 percent of their Halloween-time visitors come from Las Vegas and they don’t even advertise there, Sherrie Staheli said. Most of their advertising these days is done through social media. 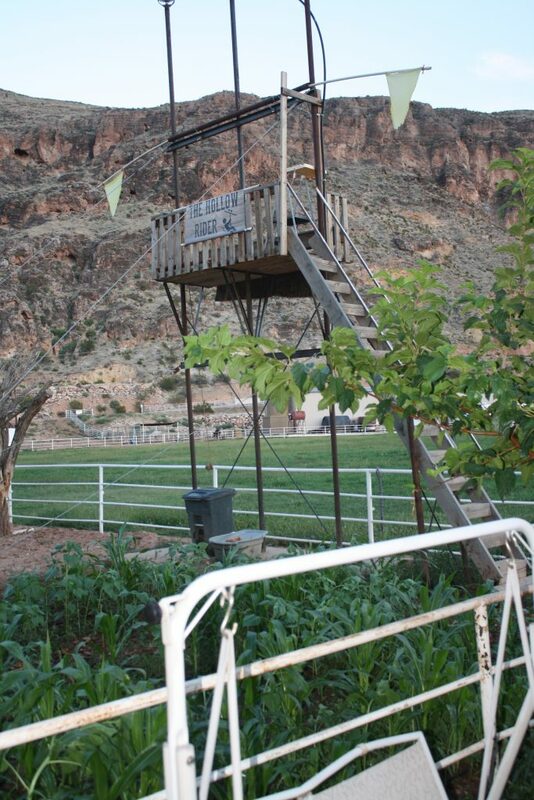 A few years ago, a radio DJ from Las Vegas brought his family to the farm and enjoyed the experience immensely. That DJ talked up the farm on the air and ever since patrons from the Las Vegas area have been a staple. “We’ve been tickled about that,” Sherrie Staheli said. The first year, she said, there were about 3,000 people at the farm every weekend. Today, there are thousands more and last year visitation was up 30 percent from the year before. They employed 139 people last year, 60 of them in Field of Screams alone. Each year, they expand a little bit to accommodate the rising number of visitors, Sherrie Staheli said. 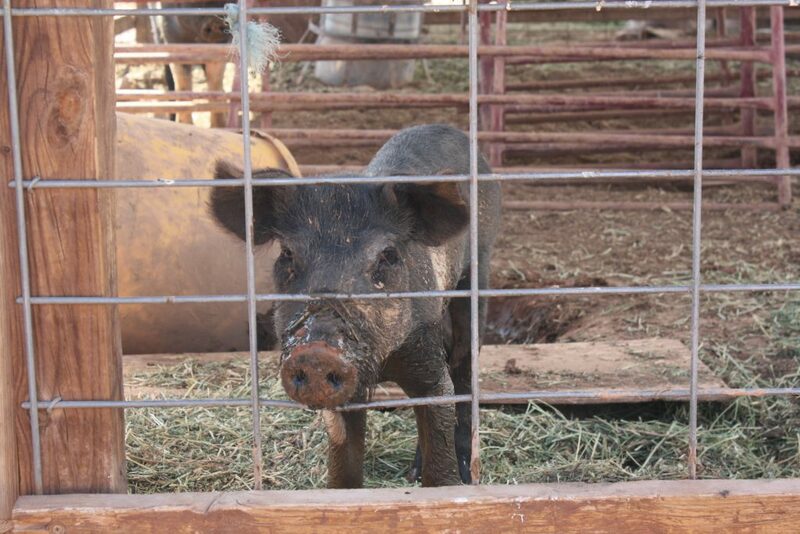 She’s not in agritourism for the money, Sherrie Staheli said. She’s in it for the experience it provides, both the nostalgia and the education. She enjoys watching children laugh and get dirty. One year, when the farm was about to close for the night, there was a family who approached Sherrie Staheli saying they forgot to get a pumpkin but the lights were out in the pumpkin patch. The father told his children it would OK, they’d just get pumpkins somewhere else, but Sherrie Staheli had another idea – she gave the children flashlights and they found their pumpkins that way instead. When it came time for the father to pay for the pumpkins, which amounted to about $6, she said, he gave her a $50 bill with tears in his eyes and told her thank you, keep the change. His kids had so much fun, he told her, raving about it and saying it was better than Disneyland. It’s seeing experiences like that, that make it all worth it, Sherrie Staheli said. 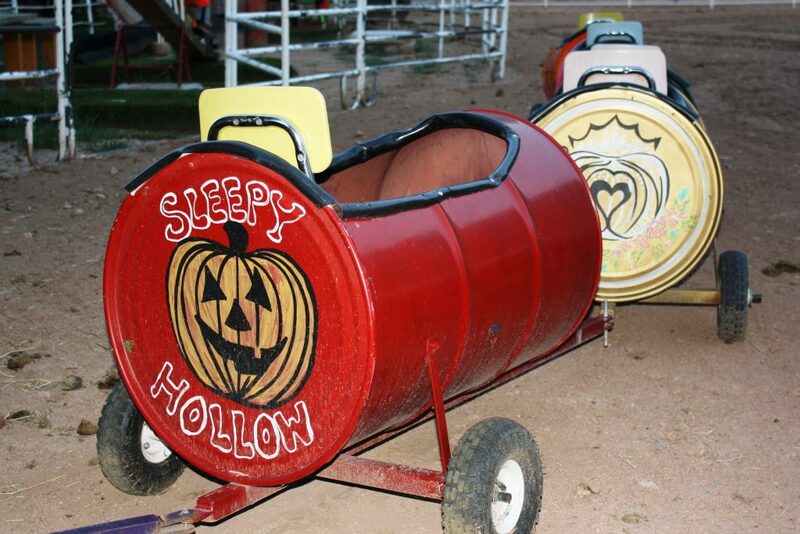 Fall is the busiest time for both farms as they host their Halloween activities. 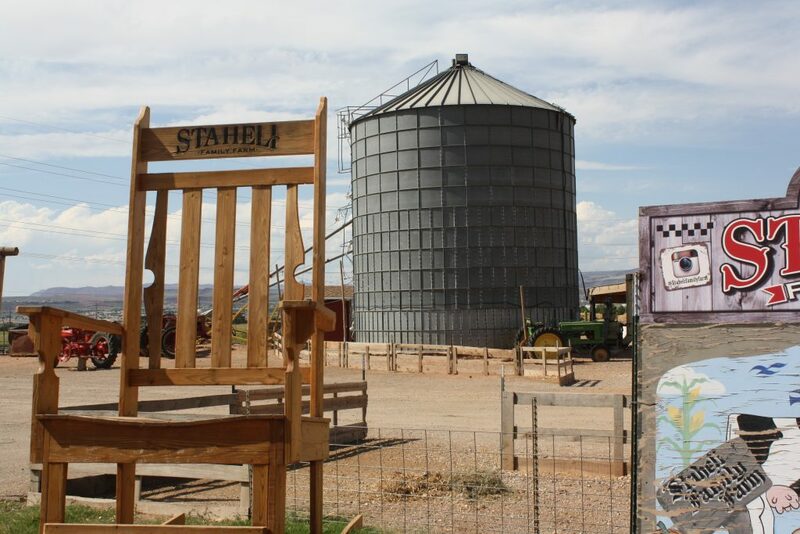 This year, Staheli Family Farm started its Halloween festivities Sept. 23 while Western Legacy’s Sleepy Hollow starts Oct. 9. 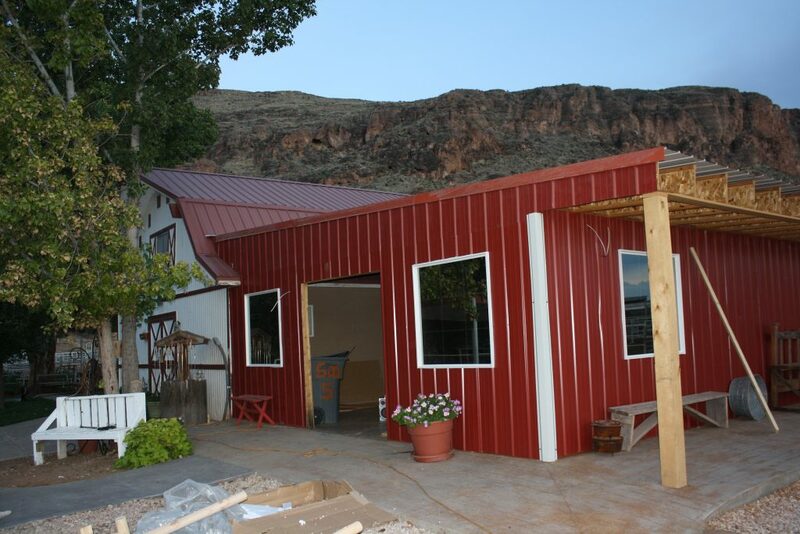 Staheli Farm is at 3400 S. Washington Fields Road in Washington City. The easiest way to find it is by turning south on 300 E./Washington Fields Road on Telegraph Street and heading south until seeing the farm on the left. 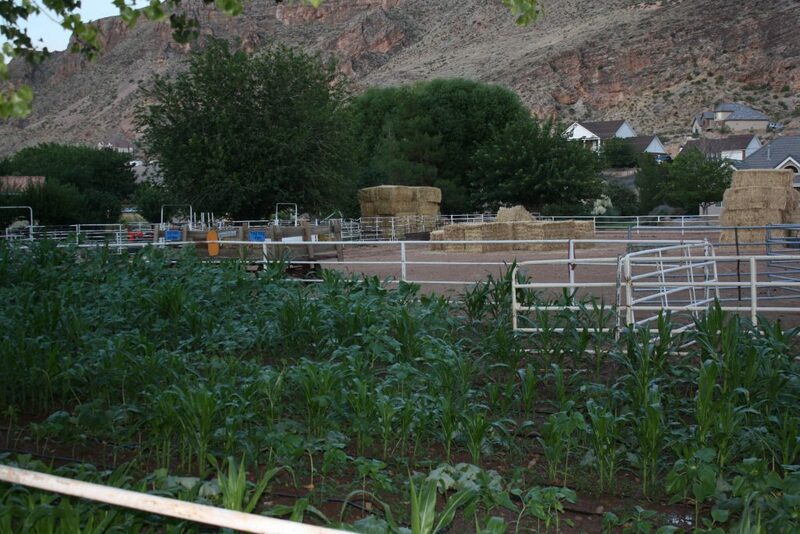 Western Legacy Farm and Ranch is at 1600 S. 160 West in Hurricane. The easiest way to reach it is to turn onto 180 West from 400 South and continue on it even as it veers to the left at 1300 South and becomes 160 West. Visitors enter the ranch by the large barn on the right side of 160 West. 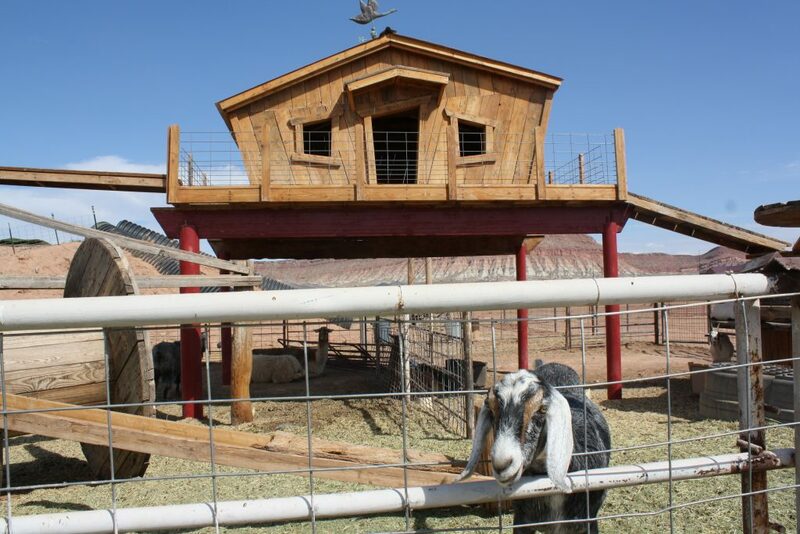 In addition to its Halloween activities, Staheli Family Farm hosts a live Nativity during Christmastime and an Easter egg hunt the Saturday before Easter week. 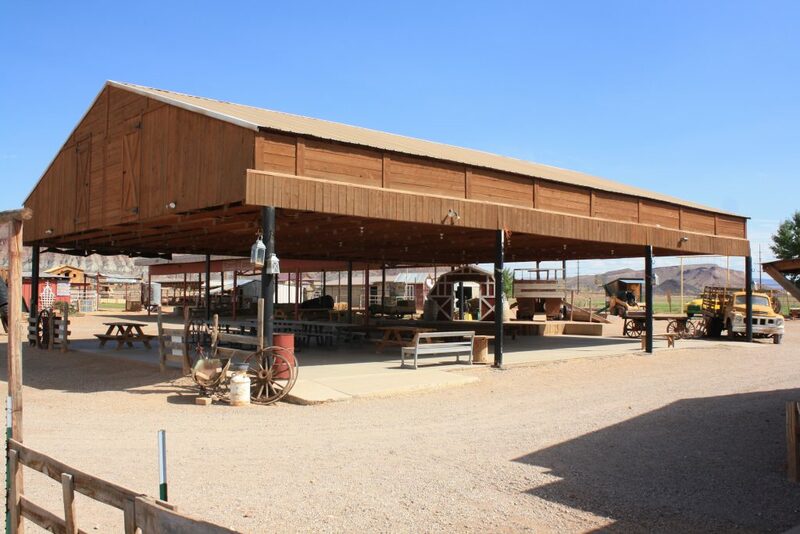 Both farms host farm camps, weddings and other events such as family reunions. 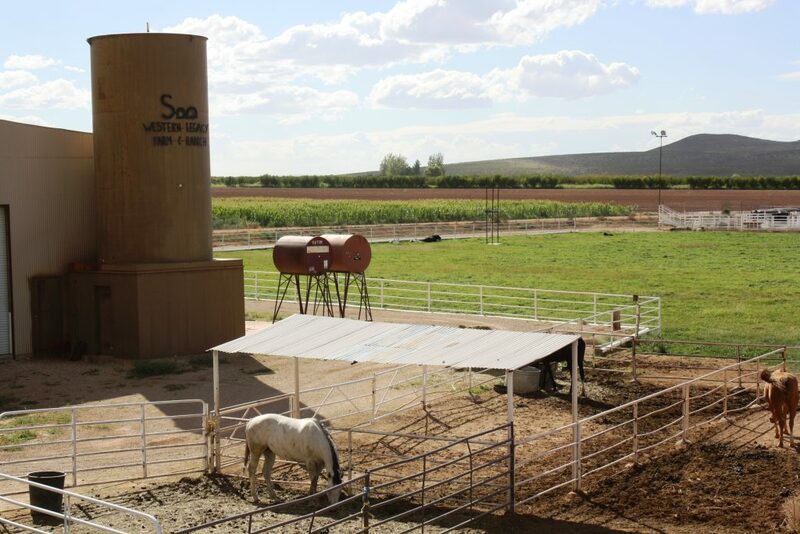 For more information on visiting the farms, please visit the Staheli Family Farm website and Western Legacy Farm and Ranch website. 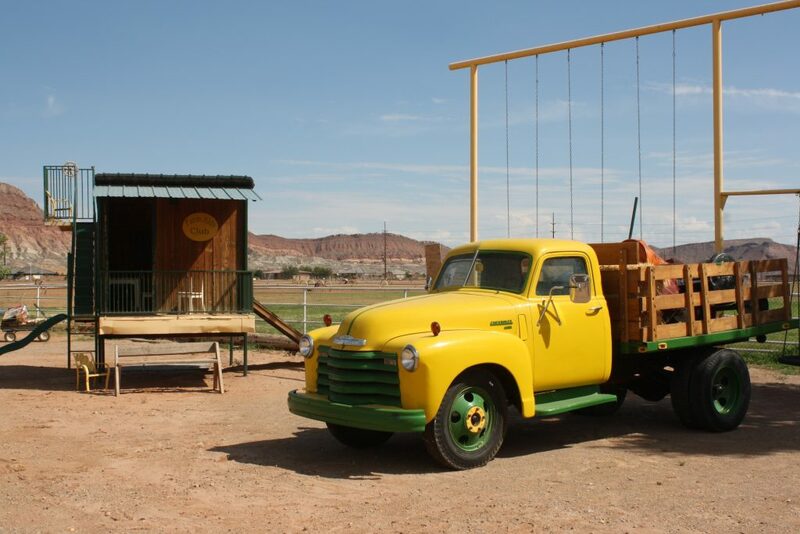 “Days” is a series of stories about people and places, industry and history in and surrounding the region of southwestern Utah. 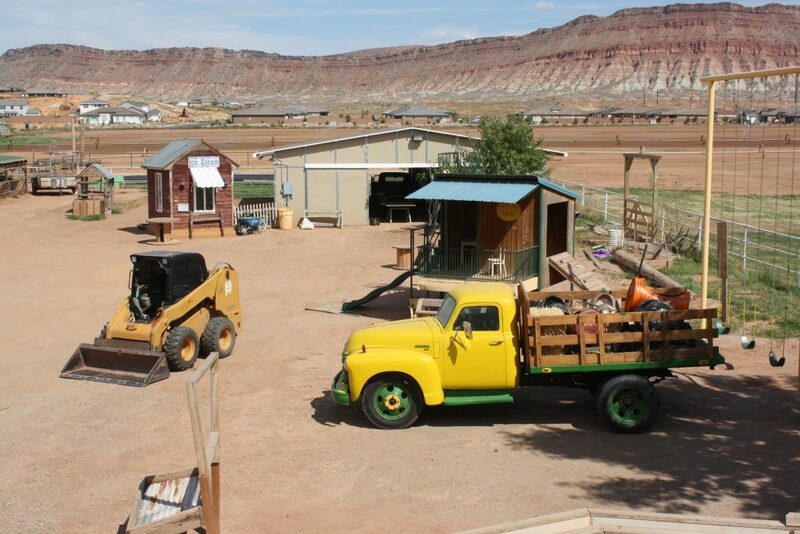 “I write stories to help residents of southwestern Utah enjoy the region’s history as much as its scenery,” St. George News contributor Reuben Wadsworth said. Read more: See all of the features in the “Days” series.